“I can best describe our approach as like the methodical turnaround of a failing business. When a company is failing – when spending is rising, sales are falling and debt is mounting – you need someone to come in with energy, ideas and vision and take a series of logical steps.” That’s what British Tory Prime Minister David Cameron told the press in mid-August. One of Cameron’s ‘visionary’ steps to regenerate the economy is to attack the Winter Fuel Payment for older people. Reports suggesting the Conservative/Liberal Democrat coalition intends to raise the age of entitlement from 60 to 66, and to cut it by up to £100. The National Pensioners’ Convention says almost 37,000 older people died from cold-related illness last winter across Britain and the Six Counties – 13 pensioners every hour. The ferocity, speed and scale of the Coalition’s public spending cuts goes well beyond their pre-election promises and post-election warnings. The Coalition leaders don’t bother to make apologies for their actions. They are relying on the debt hysteria fostered by politicians, economists and the media – the mantra that says the state’s deficit must be reduced at all costs to ensure Britain can borrow with a good credit rating. This explanation is backed up with Chancellor George Osborne’s claims the cuts will be “fair and progressive” and arguments that the cuts to the public sector will stimulate growth in the private sector. Everyone living in the 26-County state has heard this story before and knows how it ends. So are the Tories stupid or just lying through their teeth? All of these claims are dishonest and economically unsound. The key factor in Britain’s tentative emergence from recession in the last quarter of 2009 was the Labour Government’s 2009 stimulus budget. The Coalition government’s cuts have already had a negative impact on ‘market confidence’ in the British economy, with the Bank of England’s August report cutting its 2011 GDP forecast to 2.8% from 3.4% in May as a direct result of the Emergency Austerity Budget in June. Comparisons with Greece in relation to the deficit are totally inaccurate. The British state has longer to make the repayments and fewer international lenders to repay. The only people making the comparison to Greece are Tory politicians. Most significant of all the false Tory claims is the assertion that the swingeing cuts to the public sector will stimulate growth and employment in the private sector. An internal Treasury assessment leaked to the Guardian newspaper in June showed the Coalition is predicting between 500,000 and 600,000 job losses in the public sector and between 600,000 and 700,000 in the private sector over the next five years as a direct result of spending cuts. Yet, despite their own estimate predicting the private sector will be hit even harder than the public sector, the Coalition claims that 2.5 million jobs will be created in the private sector over the same period. The British Trades Union Congress released a study of previous recessions and recoveries in June, labelling this claim “absurd”. In the boom years of 2000-2008, 1.6 million jobs were created in the private sector – when public spending was aiding that growth. 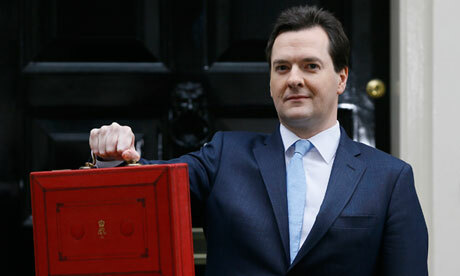 The Coalition is claiming that when public spending is reduced, the private sector will automatically grow. But this is the opposite of the general dynamic between the two sectors. Cutting public sector jobs means less spending with a consequent loss of jobs in the private sector. And when such a profound crisis is still ongoing, the private sector is saving, not investing. Rejecting this claim is especially important when it comes to the Coalition’s proposals to swiftly ‘rebalance’ the North’s economy through spending cuts. The Coalition is surely aware that its predictions of private-sector growth are wildly optimistic and completely detached from reality. It is pedalling this claim to convince the public that they are on the road to economic recovery when in fact the road leads only to mass unemployment. It is a concerted, conscious campaign, led by the Tories, to transfer more wealth from the poor to the rich. Only a sustained campaign of resistance – led by progressive parties, the trade union movement, and the community and voluntary sector – can halt this attack. Its starting point must be rejecting the economic falsehoods pedalled by the Coalition Government and its media mouthpieces. There is an alternative and it’s public investment – targeted stimulus measures. In the North, the campaign against this attack, which for a myriad of reasons will cut much deeper here, must be directed at securing a sufficient block grant for the Executive that acknowledges the economic conditions of the Six Counties and meets objective needs. It must also demand the democratic control of economic decision-making – that revenue raising and spending powers be devolved to locally-elected, directly accountable institutions. Regardless of who’s in power in Downing Street, these powers should be devolved. The farcical situation where the Tories – who failed to win a single seat in the North in the May election, and who refuse to acknowledge the reality of the North’s economic circumstances – can impose these outrageous cuts highlights the urgency of this demand.